HITS Culpeper is proud to host the L.M. “Sandy” Gerald USHJA Zone 3 Junior Equitation Finals for the twelfth year on Saturday, August 19th, during the Winston National at Commonwealth Park which runs from August 17th to August 21st. 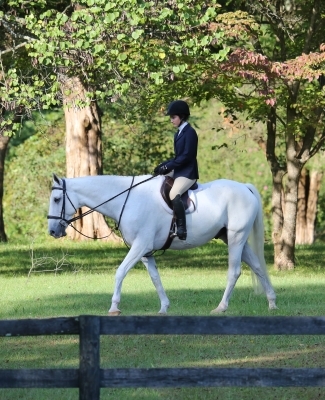 Qualified riders travel from Washington, D.C., Delaware, Maryland, North Carolina, Virginia and West Virginia for this popular Equestrian Final. Two sections of competition are offered with jumps set at either 3’ or 3’6”, and scores from both heights combined for one overall Final set of results. Prior to the class, qualified exhibitors and their guests are invited to a Rider Reception, hosted by HITS, which will include complimentary hors d’oeuvres and refreshments. Goucher College: Sponsor of the First Place Prize and will present a Cooler and a Commemorative Plate. Ginny Edwards and Hidden Hollow Farm: Sponsors of the Second Place Prize which will be a Hand-made Ribbon Display Case. Terri Young and Clairvaux, LLC: Sponsors of the Fourth Place Prize which will award a gift certificate from Dover Saddlery. Patrice Lemmer: Sponsor of the Perpetual Trophy for the Uptown Best Equitation Horse Award, along with a keepsake Cookie Jar. In addition to sponsored prizes, First, Second and Third place will also receive engraved picture frames. The HITS Culpeper Show Series features six weeks of shows, $1 million in Prize Money and premier Hunter / 4* Jumper USEF-rated classes each Spring, Summer, and Fall. HITS first ran the Culpeper series in 1998. The venue is located one hour south of Washington D.C. HITS Culpeper at Commonwealth Park accommodates Exhibitors with Permanent Barns for Stabling, 6 Well-Groomed Rings for Showing, Bridle Paths for Walking, and Plenty of Green Spaces for Grazing.